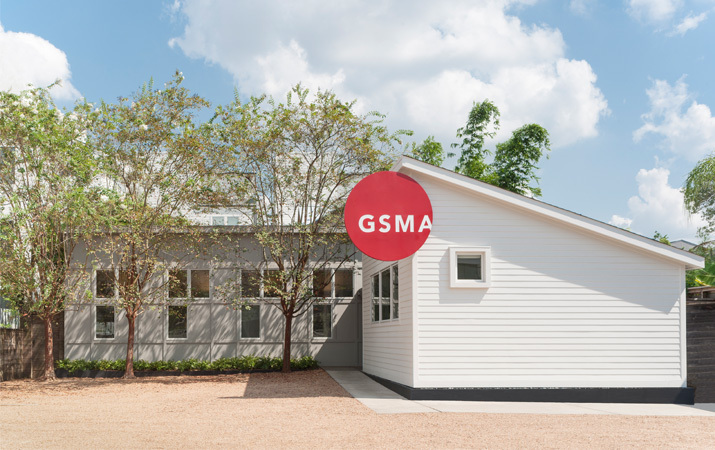 GSMA's Jackson Street Studio has a recessive, quiet presence in its densified residential context of Houston’s Museum Park Neighborhood. Conceived as three shed-roofed volumes in a garden, each form defines a function of the building. The front volume, clad in white-painted siding, holds the conference room; the middle red volume contains the entry and reception functions and separates the conference space from the studio space, which is housed in the rear, grey-paneled volume. Vaulted ceilings follow the roof slopes and create light-filled and airy interiors. The studio space receives light from two sides: eastern light is moderated by a 15 foot deep bamboo and yaupon garden, which is used for lunch breaks and private conversations, while western light is tempered by three mature Cinnamon Bark Crape Myrtles salvaged and transplanted from a client’s garden. Interior studio and conference room walls are lined with cork for casual collaborations and formal presentations. The conference room is made available to local non-profit organizations for their board meetings. Operable windows catch southeast breezes throughout the building. The front gate with perforated metal panels completes the site and provides security, visibility, and a playful note at the street.